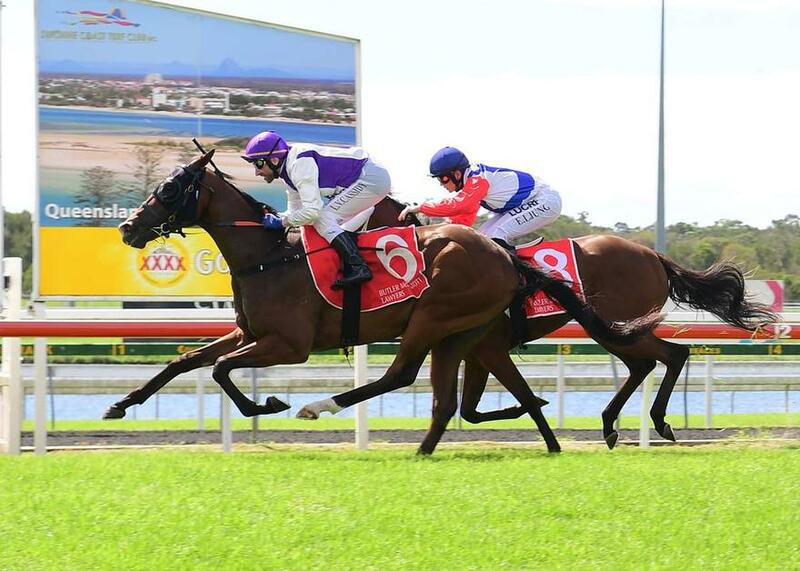 Promising two-year-old SPIRIT ESPRIT completed a remarkable last-to-first victory to break his maiden in style at the Sunshine Coast yesterday. The gelded missed the start and spent the majority of the race tacking onto the tail of the field before storming down the outside over the final 200m for jockey Larry Cassidy. The win continued a brilliant run of form for the stable over the past week, with four winners from the last nine runners. ‪The son of Bel Esprit has had a terrific first preparation, recording a win and two minor placings from his first three starts. "It was an incredible win," said Trainer Chris Munce. "To see him come from the position he was after missing the start and round them up and win the way he did was something to be behold. "He's still very well short of his best, he's long and rangy and immature. But he's a very very nice horse, he's got a good demeanour and takes everything in his stride. "I'm sure he's only going to get better as he gets older so he goes to the paddock now and we'll let him grow and develop a bit more."